If you have not been one of the hundreds of Cincinnatians to make the trip to Portland to see modern streetcars in action, or visit one of the many global cities with them in operation, then tomorrow is a great chance to see one up close and in person. City officials sent out a message late Thursday stating that the first modern streetcar made in America since the 1930’s will be on display at 5th and Walnut streets in downtown Cincinnati on Friday, November 5 from 1pm to 7pm. Those who are unable to check it out for themselves on Friday will have another chance from 11am to 7pm daily through Wednesday, November 10. “This is a perfect opportunity to pierce the veil of misunderstanding about what our city is trying to do with this project,” streetcar supporter John Schneider stated in an email. 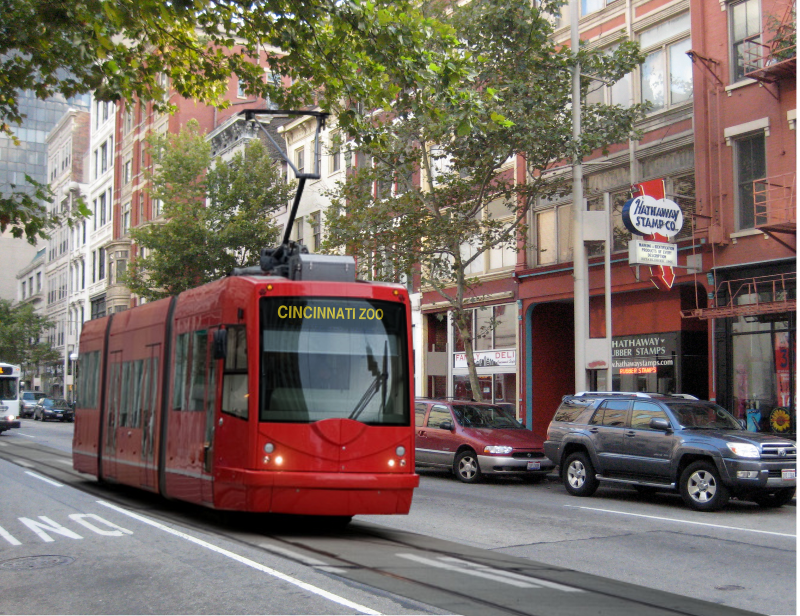 City officials do note that while the Cincinnati Streetcar may end up being this particular model, the final decision on that has yet to be made, but they say that it will give a great idea for what to expect once Cincinnati’s modern streetcar system is operating in 2013. The mayor is expected to hold a news conference at 1pm on Friday to discuss the project and this type of streetcar model. After the streetcar leaves Cincinnati it will make its way to Portland to join their existing streetcar fleet.